This field report includes information submitted by KHRG researchers describing events in Nyaunglebin District b etween December 2015 and December 2016. It describes different human rights violations and other issues important to the local community including militarisation, landmines, land confiscation, violent abuse, road construction, gold mining, hydropower dam planning, ‘re-relocation of Internally Displaced Peoples (IDPs), education, healthcare and livelihood issues. Militarisation is still ongoing in Nyaunglebin District, as the Tatmadaw frequently patrol in civilian and Karen National Union (KNU) delimited areas, regularly rotate troops, maintain checkpoints to tax civilians, and demand that villagers drive them to places that they want to go. 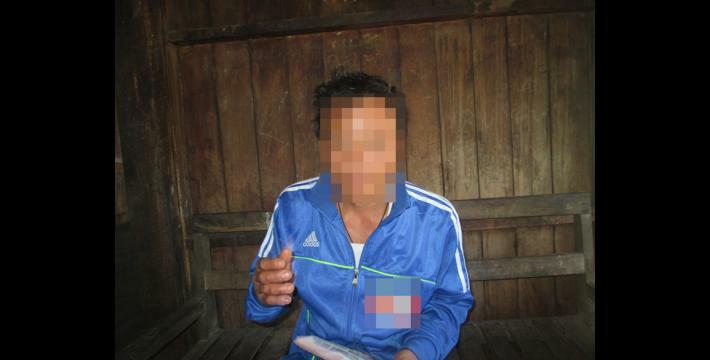 In one case in December 2015, Karen National Liberation Army (KNLA) soldiers misused their power and attempted to extort villager Saw P--- and forced him to pay a fee for land that he had previously purchased. They violently abused him when payment was refused. 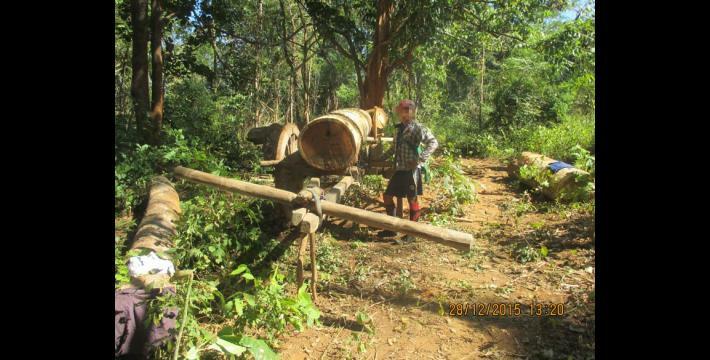 Most villagers in Mone and Kyaukkyi Township depend on the forest to secure their livelihood needs but villagers cannot access the forest freely because of new KNLA landmines planted in 2016 and old landmines that have not been cleared. Victims of land confiscation in Kyaukkyi Township have attempted to reclaim their land from the Burma/Myanmar government by writing complaint letters to the Burma/Myanmar government and submitting these letters both to the government and to other organisations to support their effort in 2015. Although the letters were officially submitted, the villagers’ complaints remain unaddressed. Although villagers have been urging the KNU to address their concerns about potential land confiscation and the negative livelihood impact of the proposed Baw K’Hta hydropower dam since 2015, the KNU was still planning to implement the Baw K’Hta dam project in 2016. In addition, in gold mining areas, some KNU authorities have favoured granting gold mining permits to businessmen instead of villagers despite villagers’ historical and indigenous claims to the land. In April 2016, IDPs who returned home to their original village in Nyaunglebin District were forced to relocate again after Tatmadaw Light Infantry Battalion (LIB) #534 threatened to set their houses on fire in Kyaukkyi Township. Nyaunglebin District is a mixed-control area between both the Karen National Union (KNU) and Burma/Myanmar government, and consequently, the two administrations define the townships in Nyaunglebin differently. According to Burma/Myanmar government defined territory, Nyaunglebin is located in eastern Bago Division. The KNU defines three townships in Nyaunglebin Distrrict: Mone (Moo), Kyaukkyi (Ler Doh) and Shwegyin (Hsaw Htee) Townships. This Field Report covers human rights abuses and other issues which occurred in the three Nyaunglebin Townships between December 2015 and December 2016. For this report, KHRG analysed information from 18 raw data reports documented by KHRG researchers covering this time period. The Field Report summarises and analyses in detail villagers’ testimonies and perspectives regarding human rights issues in Nyaunglebin District. In 2016, even though the Nationwide Ceasefire Agreement (NCA) was already signed between the Karen National Union (KNU) and the Burma/Myanmar government, KHRG reports show that militarisation is still ongoing in Nyaunglebin District. The Tatmadaw operating in Nyaunglebin District frequently patrol near civilian areas and in KNU delimited areas, regularly rotate troops, maintain checkpoints to tax civilians, and demand that villagers drive them wherever they want to go. Although KHRG received fewer reports discussing military activity in Nyaunglebin District in 2016 than in previous years, tension between civilians and the Tatmadaw has not significantly decreased. In A--- and B--- village, Maw Hko village tract, Mone Township, two Tatmadaw camps are still based on land that was historically owned and used by villagers. Soldiers in these camps frequently patrol near areas where civilians live and KNU delimited areas that surround Kyaw Pya army base. KHRG community members reported that in 2016 the Tatmadaw rotated their troops very often, with some troops rotating every two or three weeks and others every three to four months. During their rotations Tatmadaw troops often ask to borrow villagers’ motorcycles and ask villagers to drive them where they want to go. In addition, KHRG community members reported that Tatmadaw soldiers set up check points near H--- village at B--- Bridge. All drivers who use the bridge have to pay 5,000 kyats [US $3.72] each time they cross the bridge. Civilians also worried about Tatmadaw activity in E--- area, Mone Township. For example, in one case on January 15th 2016, the Tatmadaw Headquarters Commander and the Bureau of Special Investigation (BSI) went to Kyaw Pya army base and took photos of villagers’ belongings and did not give prior notice to the villagers before they entered the village. This increased villagers’ concerns about the motivation of the BSI and the possibility of an outbreak in fighting. Due to these actions by the Tatmadaw, villagers’ trust in the ceasefire agreement has decreased and many are concerned about an outbreak in fighting. By patrolling in civilian and KNU delimited areas and making very regular troop rotations, Tatmadaw activities have caused villagers to become concerned about whether this will lead to more conflict because they cannot predict the Tatmadaw’s purposes and motivations. On December 26th 2015, in Kyaukkyi Township, Nyaunglebin District, two Karen National Liberation Army (KNLA) soldiers misused their power and attempted to extort a villager to pay a fee for land that he had previously purchased; they then tortured the villager when payment was refused. 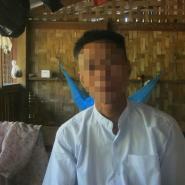 Saw P---, who owns 26 acres of land and lives in Nyaunglebin District, was violently abused by two KNLA soldiers named Mah L’Kee and Hpa Maw Wah. The KNLA soldiers came to Saw P--- while he was working on his farm with his son and ordered him to pay a fee to work on the land. When he refused to pay the fee, they threatened to slit his throat, put his head in a pan of boiling water and kill him. The soldiers also pushed, kicked, and tied him up, and forced him to sign a document, justifying their actions by saying that they were authorised by the KNLA headquarters to ask for the fee. 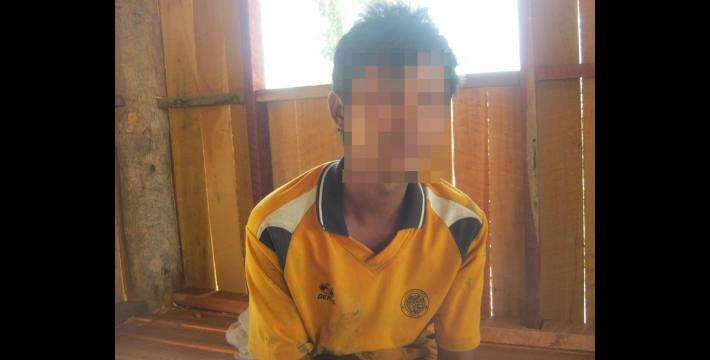 After the incident was reported locally the two KNLA soldiers were punished for 28 days and removed of their ranks. On January 16th 2016, Maung G--, who is 27 years old from W--- village, Mone Township, was injured by a landmine while he was traveling to hunt wild animals near Ka Law Myaung area. His right leg was blown off and his left leg was injured and needed treatment. Within the same month, on January 20th 2016, a Bamar villager, whose name is unknown, was also hit by a landmine while he was driving his truck to Ka Law Myaung area. The third incident occurred on April 26th 2016 when Maung A--- from C--- village was hit by a landmine when he went to collect firewood from his farm. His bullock cart set off the landmine, which propelled shrapnel and injured his right leg. When interviewed about the landmine incident in B--- village, U A--- also mentioned that villagers in Bb--- village are not officially informed of landmine locations by the KNLA (who planted the landmines) and instead rely on knowledge gained by rumours from other civilians. This incomplete information and awareness of landmine locations increases the danger of landmines for villagers because they may mistakenly believe that some areas of the forest are safe to access. Regarding the presence of Non-Governmental Organisations (NGOs) in Nyaunglebin, KHRG has received limited information. In Mone Township, Nyaunglebin District, the Nippon Foundation, a Japanese NGO, provided food support such as rice to villagers once in 2016. The Mya Sein Yaung Project and the Karen National Union (KNU) Animal Husbandry Department are also active in Nyaunglebin District. Mya Sein Yaung gives loans to villagers at a returned interest rate of 1.5%. The KNU Animal Husbandry Department provides animals such as pigs and goats to the villagers to raise and generate income. Since 2015, victims of land confiscation in Kyaukkyi Township have attempted to reclaim their land from the Burma/Myanmar government by writing and submitting complaint letters both to the Burma/Myanmar government and to other organisations that will support their effort. Although these letters were received, the villagers’ complaints remain unaddressed. In 2015, KHRG received a complaint letter regarding a land dispute in J--- section, Kyaukkyi Township. After granting the Tatmadaw permission to use their missionary land for military purposes for many decades, in 2015 the Shwegyin Karen Baptist Association had their land forcibly confiscated by Burma/Myanmar government officials from the Kyaukkyi Township administration. The purpose of this land confiscation was to construct government buildings on the land. Villagers reported this issue to KHRG and said that although they had already sent two complaint letters to the Burma/Myanmar government, neither complaint was addressed as the government claimed that the information they received was inconsistent. 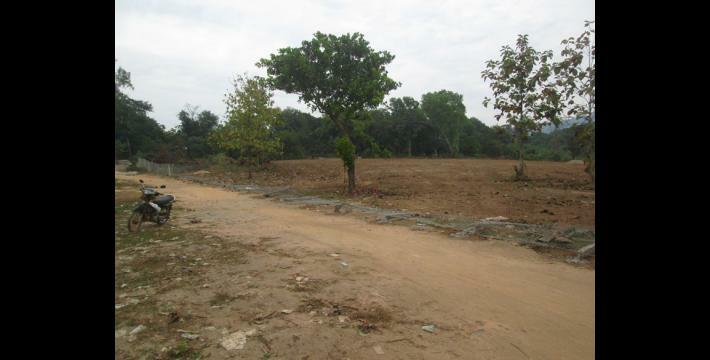 In May 2016, KHRG continued to receive information about this land dispute in Kyaukkyi Township. KHRG researchers reported that after the Burma/Myanmar government constructed the government buildings, some empty land remained within the confiscated missionary land. Therefore, villagers wanted to use this land to host public events such as Karen New Year celebrations as well as to construct buildings to support the church. According to interviews and incident reports received between February and December 2016, the church congregation were active in clearing and fencing the empty land. However, on November 25th 2016, the fences were destroyed. 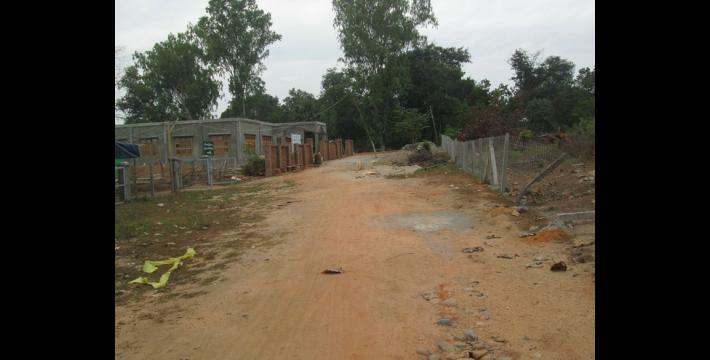 A member of the congregation, Saw K---, stated that the Kyaukkyi Township administrators did not recognise the land as missionary land belonging to the church and, therefore, villagers suspected the township administrators of destroying the fence. However, it has not been confirmed who destroyed the fence and no action has been taken. The different tactics used by villagers to protect or reclaim confiscated land in Kyaukkyi Township clearly shows how villagers’ agency challenges military and government control of the land. Whereas in the past, villagers would not feel safe claiming confiscated land, since the 2012 preliminary ceasefire agreement villagers in some cases are actively and confidently claiming their land rights. 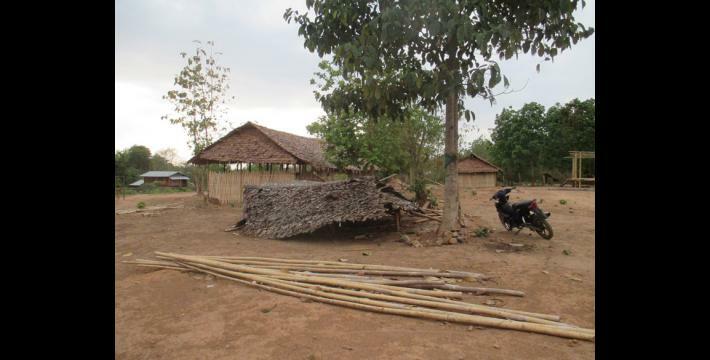 To achieve their goals, villagers are using different strategies include clearing and fencing the land and submitting complaint letters not just to governments but also to many other organisations (including KHRG) to support their efforts. 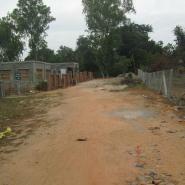 As in previous years, local development projects such as road construction were conducted in civilian areas. However, instead of holding public consultations with the potential affected villagers, most of the people who carried out these local development projects only consulted with the authorities in Nyaunglebin District. In Kyaukkyi Township, road expansion between L--- village and Kyaukkyi Town began on November 16th 2016. The Burma/Myanmar government funded this project and wanted to expand the road by approximately 34 to 50 feet in width. 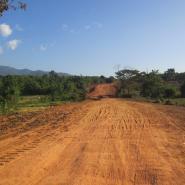 The road was constructed in a KNU controlled area, but the KNU was not consulted about the road construction. However, in July 2016 Lieutenant Colonel Tin Maung Kyaw from Infantry Battalion (IB) #57 convinced Saw M---, N--- village administrator, to approve the road construction in order to develop and bring benefits to the community. Lieutenant Colonel Tin Maung Kyaw then persuaded him to sign the agreement letter to send to the Burma/Myanmar Kyaukkyi Township administrators for further approval. In this case, the Burma/Myanmar government and Tatmadaw neither consulted nor obtained approval from villagers and the KNU to expand the road. Even though the Tatmadaw consulted village authorities afterwards, they still did not consult the civilians who would be affected at all. The villagers did not give their consent and objected to the project because the construction would damage their paddy fields and plantations. 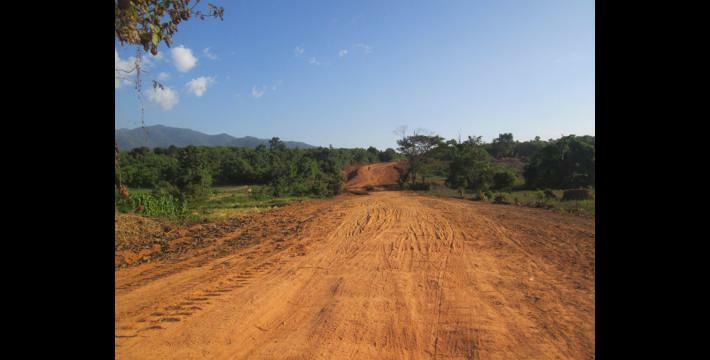 The road construction was carried out by the Burma/Myanmar government and during the implementation process of the project, IB #60, and Light Infantry Battalion (LIB) #349 provided security for the constructors. The agreement was negotiated between the N--- village administrator from the Burma/Myanmar government and Lit. Colonel Tin Maung Kyaw. 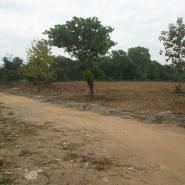 Some segments of the road have already been constructed and have destroyed villagers’ land. Additionally, a KHRG community member from Kyaukkyi Township, Nyaunglebin District reported that the road construction will pass through Hsaw Mee Loo, Hkoh Puh, Kheh Ka Hkoh, Kheh Der village tracts and consequently destroy many villagers’ farm lands and plantations. The major concerns for the local villagers were that businessmen and companies can easily access the areas and confiscate the land of their ancestors for business activities. Although villagers have historical claims to the land as well as indigenous rights over natural resources such as gold (as outlined in Articles 25, 26 and 32 of the United Nations Declaration on the Rights of Indigenous Peoples), some KNU authorities favour granting gold mining permits to businessmen instead of villagers in order to increase their profits. After the signing of the Nationwide Ceasefire Agreement (NCA) between the KNU and the Burma/Myanmar government on October 15th 2015, one of the main business opportunities in Shwegyin Township was the extraction of natural resources such as gold mining. In order to take advantage of these opportunities, businessmen started to conduct gold mining in P--- River near Q--- village. Saw Lay Traw, Battalion Deputy Commander of KNLA Battalion #7, asked eight business experts to survey gold near Q--- village and gave them permission to conduct gold mining after their assessment was completed. Businessmen Soe Min, Kyaw Min Naing and six others started conducting gold mining in September 2016 and asked KNLA soldiers to maintain security for them and prevent villagers from entering the mining areas. By contrast, the residents living in the project site reported that the Battalion Commander and KNU township leaders did not initially allow local villagers to mine for gold. This quote illustrates how the decision making involvement of villagers is not respected and the prior consultation of villagers is not considered before implementing certain projects. This lack of consultation is significant, according to Naw R---, because businessmen have different motivations and a different relationship with the land compared to villagers. Since villagers objected to the project, they submitted a complaint letter to the KNU’s Shwegyin Township and Nyaunglebin District administrators. In response to the villagers’ complaint letter, the KNU in Nyaunglebin District permitted local villagers to mine for gold in seven of the 13 gold mining sites that district administrators had identified as potential places where gold can be mined. 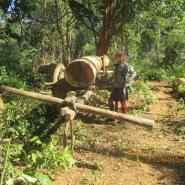 An additional concern for villagers regarding the gold mining projects was the environmental impact of gold mining. In particular, villagers were concerned about the impact gold mining would have on water consumption and daily washing due to the pollution of the nearby river water and how this would affect their health. Approximately 100 households and 600 people in P--- River site would be directly affected by this environmental impact of gold mining. Villagers also worried that they would be exposed to hazardous chemicals and that the risk of sickness and disease such as skin cancer would increase due to chemicals from goldstone mining process and the spread of hazardous chemicals through the air. Positively, even though the KNU did not initially allow villagers to conduct gold mining, some villagers were allowed to mine for gold in several areas after submitting a complaint letter to the Shwegyin Township and Nyaunglebin District administrators. However, many villagers feel that current approaches by some KNU leaders to manage natural resources are inappropriate because the profits from the natural resources are not distributed to all the villagers in the community. Furthermore, many villagers were concerned that businessmen wished to mine all the gold in the areas without considering the social and environmental impact of gold mining and the indigenous land rights of villagers. Since 2015, villagers have been urging the KNU to help address their concerns regarding the impact from the proposed Baw K’Hta hydropower dam. Even though their concerns about livelihoods and potential land confiscation remain unaddressed, the KNU was still planning to implement the project in 2016. “The person who comes and supports the dam construction has to listen to the local voice and follow the rules of the community”. Despite this reassurance, the KNU held further assessments for the Baw Ka Hta dam construction project in 2016. “Our lands are flooded in the rainy season even though the dam is not implemented. So if the dam is finished, our lands and houses will be completely flooded”. As residents believe that this project will negatively affect villagers and only benefit businessmen, residents urged the KNU to consider how to address villagers’ concerns instead of doing further assessments to build the dam. Although the KNU previously prohibited dam projects due to many challenges raised by villagers, discussions and plans for dam projects continued in 2016. IDPs who returned home to their original village in Nyaunglebin District were forced to relocate again after the Tatmadaw threatened to set their houses on fire. In previous years, KHRG did not receive any information about incidents in which returnee IDPs were forced to relocate again after returning to their original villages in Nyaunglebin District, but this year KHRG received two reports in May regarding returnee IDPs in Mone Township, Nyaunglebin District. The returnee IDPs in S--- village have been displaced since 1994. After the signing of the 2012 preliminary ceasefire, the villagers were eager to return to their original home. Norwegian People's Aid and the Committee for Internally Displaced Karen People (CIDKP) supported 90 households to resettle to their original areas after 2012. 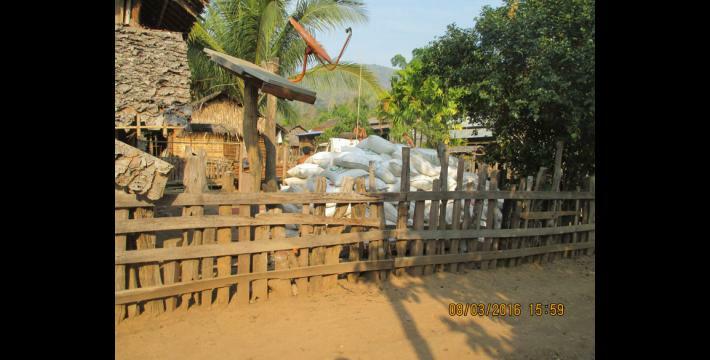 However, after resettling to their original areas, the same 90 households based in S--- village were approached on April 8th and 9th by LIB #351’s Battalion Commander, Thet Naing Tun, and three of his soldiers. They told the villagers that they should relocate by the third week of April and threatened to set their houses on fire if they failed to comply. 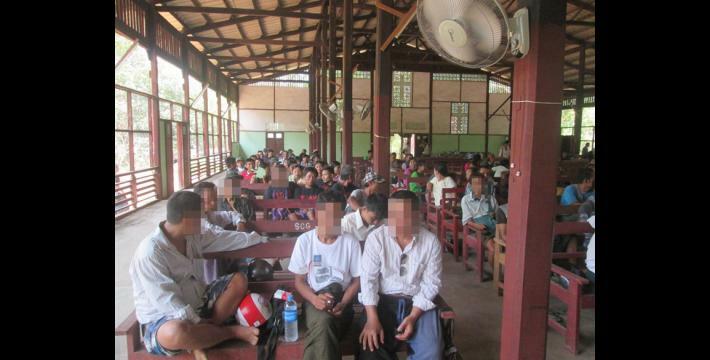 On April 12th 2016, Battalion Deputy Commander Wa Na again approached the returnee IDPs with an order letter from the Kyaukkyi Township Administrator, U Tin Myo Aung, and again tried to force the returnee IDPs to relocate. Many, but not all, villager households relocated from their homes in fear. Also on April 12th, Tin Hsan Oo, who works for the National League for Democracy (NLD) approached the returnee villagers in S--- and promised to speak with the Tatmadaw in order to convince the Tatmadaw to allow the villagers to live in the village they had returned to. After the discussion, on May 21st five soldiers under the control of LIB #351 came and informed villagers in S---village that they would not threaten villagers anymore, even if they refused to relocate. Additionally, the Deputy Battalion Commander Wa Na told them, “If some problems happen here, you have to solve the issues by yourself,” thus suggesting that the Tatmadaw are unwilling to protect villagers if they face any security problems. Although this is only the first report of a “re-relocation” incident that KHRG has received, it is possible that similar conflicts will arise as more and more IDPs and refugees return to militarised areas where the potential for further conflict and fighting remains high. Positively, this incident also illustrates the positive capacity of the NLD to resolve such conflicts. However, in order to alleviate future tensions and disputes, a more preventative approach may be required. 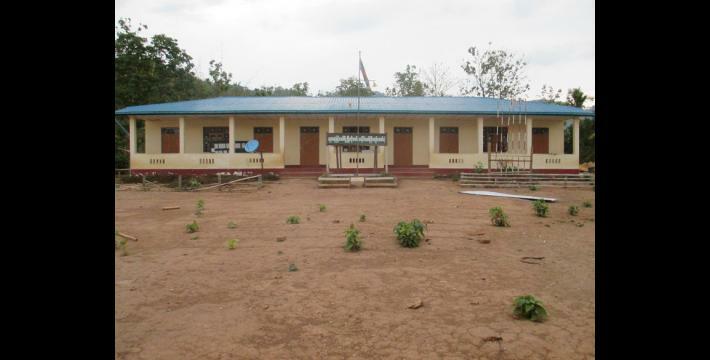 The education situation in Nyaunglebin District has improved since the 2012 preliminary ceasefire and the NCA because many schools in local areas have been repaired and are receiving significant support from both the KNU and the Burma/Myanmar government. Due to these improvements, some children are able to receive an adequate education but many difficulties remain for Karen students. In addition to financial difficulties, Karen families and communities also face challenges regarding the respect of Karen culture and the teaching of the Karen language. In 2016, local communities in Mone and Kyaukkyi Townships, Nyaunglebin District received various types of school materials and financial support. The education sector received funding from two sources; firstly, the Burma/Myanmar government education department and secondly, the Karen Education Department (KED) which is under the KNU. The government and the KNU schools use their own separate education curriculums. The Burma/Myanmar school teachers received a salary from the government and the KNU schools teachers received a stipend from the KED as well as food and accommodation from the villagers. According to Naw T---, who works with Karen Women Organisation (KWO) and lives in Paw Pee Der village, Mone Township, children who attend KNU (KED) schools do not have to pay school fees and receive free school materials from their schools. Nevertheless, they have to provide basic resources to the teachers. However, for children who attend government schools, some parents could not afford to pay for the school costs from Standards Seven to Ten. As a result, some students lost their opportunities to study. Additionally, a few local community members raised the issue of a lack of human resources in government schools negatively impacting their learning. Several KHRG researchers and local villagers also report that despite an overall improvement in the education situation since the 2012 preliminary ceasefire was signed, discrimination persists in some cases. 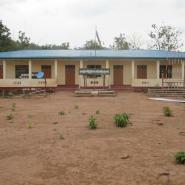 For instance, after the Burma/Myanmar government provided educational support such as building schools in local villages, they did not allow ethnic Karen teachers to raise Karen flags in front of the schools in Kyaukkyi Township and only allowed the Karen language to be taught before and after school hours. As Nyaunglebin District is a KNU and Burma/Myanmar government mix-controlled area, healthcare services and healthcare infrastructure are provided by both governments. Local community members asked to assess the health situation in Nyaunglebin District highlighted a lack of human resources and medical supplies from both governments and also a need for more healthcare awareness trainings to be provided to villagers. Common health issues for villagers in Nyaunglebin District include high blood pressure, low blood pressure, gastric illnesses, TB and children usually face malaria and fever in rainy season. Local community members reported to KHRG that in KNU controlled areas, villagers can access free healthcare services from the Karen Department of Health and Welfare (KDHW), Backpack Health Worker Team (BPHWT) and Free Burma Ranger (FBR). However there remains a lack of medical supplies to treat patients in these areas. In Burma/Myanmar government controlled areas, by contrast, villagers are charged for medical fees by local Burma/Myanmar health workers which can be difficult to pay. For example, when Maung G--- from W--- village, Mone Township stepped on a landmine and went for medical treatment to a Burma/Myanmar hospital in Toungoo Town he faced difficulty paying the medical fees because, as an ordinary villager, he does not earn any daily income. KHRG also received an interview with Naw V--- highlighting maternal healthcare issues, as many pregnant women could not afford the fee to deliver their baby in government hospitals. Moreover, Naw V--- argued that pregnant women were not well treated in the hospitals even when health care workers were available to help them. According to Naw V---‘s estimate, one third of all pregnancies resulted in the death of babies because of both the mothers’ lack of knowledge and financial difficulties which prevent them from being able to afford having their babies delivered in hospitals. On behalf of all women she requested for health awareness training to be provided to local villages in Nyaunglebin District. Positively, the Burma/Myanmar government has increased human resources for healthcare into some local villages such as midwifes and other general health workers. However, in one interview, an N--- villager stated that the only clinic that villagers can use in their village was built by Tatmadaw Military Operations Command (MOC) #10 and that there were no health workers in the clinic. Additionally, a hospital was constructed by Burma/Myanmar government in partnership with an NGO in Maw Keh Tha Per Khoh village, Maw Khoh village tract, Mone Township. Over the past year, the local residents have only observed only some improvements regarding the healthcare situation in Nyaunglebin District. Generally, the medical supply remains inadequate and more health workers are needed to treat patients sufficiently. Moreover, further healthcare awareness training has been identified as a major need for the local community in order to increase healthcare knowledge and awareness. After the NCA was signed in 2015, many human rights issues in Nyaunglebin District are directly related to conflicting ideas between stakeholders on how to appropriately use the land and natural resources in Nyaunglebin District. As the stakeholders such as the KNU, the Burma/Myanmar government, business companies and local villagers do not all share the same priorities, prior consultation and informed consent is critically important. However, in 2016, local villagers in Nyaunglebin District testified that consultation before development projects carried out by the KNU, the Burma/Myanmar government, and business companies have been inadequate, such as in the case of local development road construction projects and the Baw K’Hta hydropower dam, or non-existent, such as in the case of the confiscated Shwegyin Baptist Missionary Land and gold mining in Shwegyin Township. Another major human rights concern in Nyaunglebin District is militarisation, as the NCA has not led to a significantly reduced military presence in local civilian areas. Tatmadaw bases in Nyaunglebin District have neglected the NCA code of conduct by trespassing KNLA delimited areas, demanding taxes and causing villagers to become concerned for their safety by increasing their military movement. Militarisation in Nyaunglebin District has also significantly impacted recently returned IDPs such as returnee IDPs to S--- village who were ‘re-relocated’ to Mone Township after receiving threats from LIB #351. 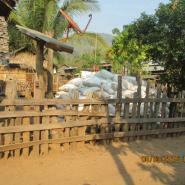 Due to these activities by the Tatmadaw, villagers’ trust in the NCA has decreased. In terms of education and healthcare the KNU, the Burma/Myanmar government and other local relevant organisations have expanded their operation territories to be more active in local areas; therefore, the Burma/Myanmar government has built more schools and healthcare infrastructure. However, many villagers still lack adequate medical supplies and sufficient healthcare awareness. 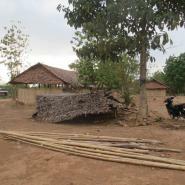 In addition, although the education situation has generally improved since the 2012 preliminary ceasefire, some Karen villagers still experience ethnic discrimination as many government schools do not allow the Karen language to be taught during school hours and have prohibited the Karen national flag from being raised in some school compounds. To ensure the stability of the NCA and to prevent further conflict the Burma/Myanmar government and Tatmadaw strictly should follow NCA code of conduct, stop human rights violations, and respect villagers’ rights. In addition, this field report has highlighted the inadequate and insufficient consultation of villagers prior to both small and large scale development projects. Prior and meaningful consultation should include villagers, village heads and local authorities before any project is implemented. Relevant companies, the KNU and the Burma/Myanmar government must ensure the victims are fairly compensated in cases of livelihood impact or land loss, well informed, and that development projects are carried out based on the needs and desires of the local communities. This photo was taken on January 10th 2016 in Cc--- village, Kyaukkyi Township, Nyaunglebin District. 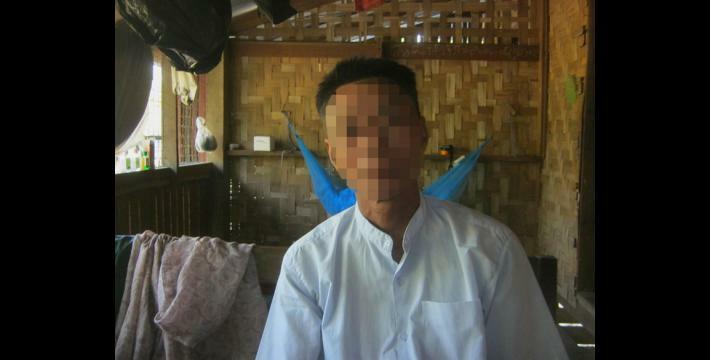 A community member took photos of U A----, and he explained that there had been about 16 landmine victims in Cc--- village since the ‘four cuts policy’ was adopted by the Tatmadaw in the 1960s. Among the landmine victims are three of his family members: two of his brother-in-laws and one of his nieces. All conversion estimates for the kyat in this report are based on the September 15th 2017 official market rate of 1352 kyat to US $1. The information was taken from Nyaunglebin Situation Update: Mone Township, February to August 2016”, KHRG, November 2016. This information was taken from an unpublished report from Mone Township received in February 2016. This information was taken from “Nyaunglebin Interview: Saw P---, December 2015,” KHRG, December 2016. This information was taken from “Nyaunglebin Interview: U A---, January 2016,” KHRG, September 2016. and an unpublished report from Mone Township received in February 2016. This information was taken from “Nyaunglebin Situation Update: Mone Township, April to May 2016,” KHRG August 2016. This information was taken from “Nyaunglebin Interview: U A---, January 2016,” KHRG, September 2016. Mya Sein Yaung Project was initiated in 2014-2015 fiscal year, in Myanmar / in Karen State, by U Ohn Myit, just ahead of the 2015 elections. The project aims to reduce poverty in the country by 16 percent, by giving loans to the villagers and charging low interest on a yearly basis. The projects were planned to allocate 30 million kyat for each village; the amount is considered as capital for the village and the yearly interest will be added to the funds. However, according to KHRG reports received from community members in some Karen Districts, participating in the project is difficult for poor villagers who have no money. Village representatives, chosen by the project workers, prioritised their relatives when deciding to whom they would give money. Villagers there must pawn belongings in order to receive a loan. See: "Toungoo Situation Update: Thangaunggyi Township, April to June 2014," December 2014, and "Hpapun Situation Update: Bu Tho Township, February to June 2014," December 2014. The funding for the project comes from the national budget. See "Union Minister U Ohn Myint Needs to answer", May 11th, 2015. This information was taken from “Nyaunglebin Situation Update: Mone Township, February to August 2016,” KHRG, November 2016. For more detailed information regarding Burma/Myanmar confiscated Shwegyin Karen Baptist Association’s missionary land see “Complaint Letter to the chairperson of the Burma/Myanmar government Land Management Committee, November 2015” KHRG, December 2015. This information was taken from an unpublished report from Kyaukkyi Township received in December 2016. This information was taken from two unpublished reports from Kyaukkyi Township received in December 2016. This information was taken from an unpublished Photo Note from Kyaukkyi Township received in December 2016. 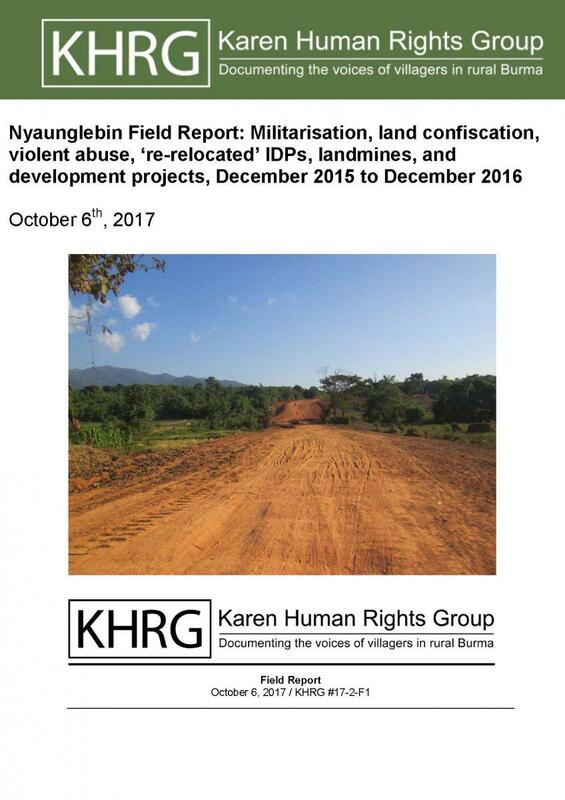 See “Nyaunglebin Field Report: Changes since ceasefire, the land conflicts and local civilians concerns with military activities, January to December 2014,” KHRG, January 2017. The information was taken from “Nyaunglebin Situation Update: Mone Township, April to May 2016,” KHRG 2016, and an unpublished report from Kyaukkyi Township received in December 2016. This information was taken form an unpublished report from Kyaukkyi Township received in December 2016. The information was taken from “Nyaunglebin Situation Update: Mone Township, February to August 2016,” KHRG, November 2016. The information was taken from an unpublished report from Kyaukkyi Township received in December 2016. The information was taken from an unpublished report from Kyaukkyi Township received in February 2016.